Services – Chapman Septic Service, Inc.
What we do at Chapman Septic Service, Inc. If you can’t remember the last time you had your septic tank pumped, or if it’s been more than three years, Chapman Septic Service, Inc. can help. We are one of very few master septic contractors in the Miami area. Residential and commercial septic systems and tanks are all we deal with. Most of our customers are referred to us by neighbors, friends, families and colleagues who have been satisfied with our services. 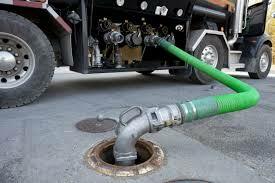 Call Chapman Septic Service, Inc. at 305-661-0628 and let us empty your tank safely and professionally! Chapman Septic Service, Inc. will clean out your septic systems in a professional and efficient manner. Our services include real estate inspections, bacteria treatments, water jetting and pump-outs. We also provide drain-field installations and repairs. If your grease traps or septic tanks need repair or maintenance, our experienced technicians will get the job done right! Call us today at 305-661-0628 to learn more. At Chapman Septic Service, Inc., we’re thankful for your tankful!